The number one cause of disability in the U.S. and the fifth leading cause of death is stroke. Facial Droop – half of your face may look like it is sagging or may be hard to move. This is where the muscles in the face have become paralyzed. Time – If you experience any of the above symptoms make sure you seek medical attention immediately. While Bob says he never noticed any of the above signs before experiencing his stroke, he says it made him realize the importance of regular doctor visits. Bob’s stroke was due partially to high blood pressure and atrial fibrillation, which he believes could have been potentially detected earlier if he had seen a doctor. 80 percent of all strokes are preventable. Learn about strokes and your personal risk of having one. Take our assessment today. It was August 2015. Bob Chesna suddenly experienced an ischemic stroke, caused by a large blood clot blocking his middle cerebral artery. 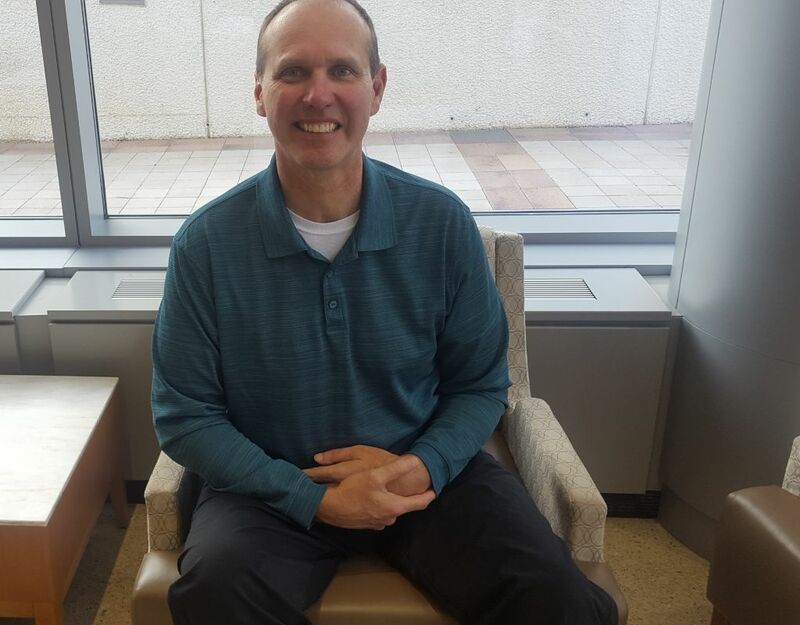 Bob arrived at Advocate Christ Medical Center in Oak Lawn, Ill., and was then treated by Dr. Scott R. Geraghty, a neurointerventional surgeon. Dr. Geraghty specializes in neurointervention, which involves performing minimally invasive procedures to treat vascular disorders of the brain and spine, including to emergently remove blood clots, such as the one Bob experienced. He does this by going through an artery in the leg and taking a catheter into the brain, where he can then remove the clot using a specialized clot retrieval device. Looking at Bob, you may have never known he had a stroke, but initially, Bob and his wife were unsure if he’d ever be able to walk again. Bob has been recovering for two years now. While he has lost functionality of his left arm, he says he still has some movement in his left leg. Initially, Bob had to be with a 24/7 caretaker. Now, he is able to walk with only the help of a cane. He can speak perfectly, has his driver’s license and even goes for a bike ride every day. While Bob has come a long way since August of 2015 and is grateful, he does say there are still struggles and frustrations. Before retiring, Bob worked as a service manager at a forklift company for 37 years. All Issues > Stroke Care at Advocate Health > What’s it like recovering from a stroke?